This oven is great for small gardens that are looking for a oven that can be dedicated to cooking specific dishes either outdoors or in a beer garden. 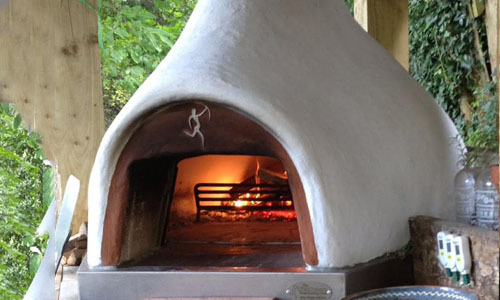 Our Wood Burning Pizza Oven is quite unique. Although it is based upon ancient Roman designs – we use 21st century materials our specially formulated reinforced Fire cement a high density refractory grade with 3 layers of reinforcing to ensure that it is capable of withstanding constant use. 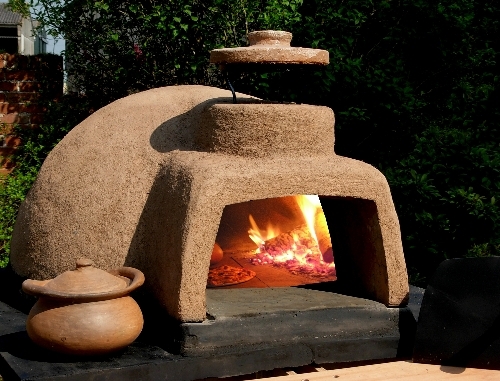 All Bushman wood fired ovens are individually handmade and as a result the external dimensions are approximate. 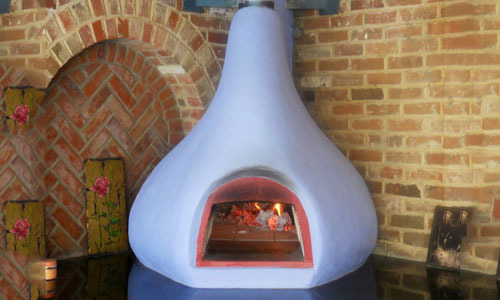 The onion shaped oven is the top of our range of ovens in this oven the chimney still vents at the front of the oven but we bend the flue ducting back under the refractory and then vent it upwards further back giving it its characteristic onion shape. The vertical exit is exactly as it seems the chimney exits the oven vertically straight up. The onion 45 degree oven does exactly as it says on the tin the chimney exits the oven at 45 degree this is great for people who are installing the oven into some kind of building structure it allows you to extend the angle of the flue pipe to a point at the wall before then running up the wall and out through the roof. These can be used in DIY projects. If you want to insulate them. 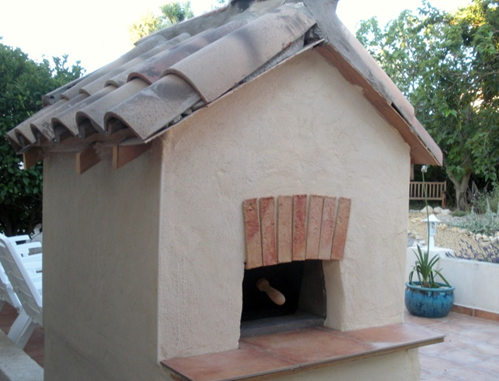 This is the section that has the thermal mass and its design is responsible for the stability of the oven. If its over built it will take to long to get to temperature and will smoke like crazy until it gets up to temperature by the same token if it does not have enough thermal mass then it will not be stable enough and you will be challenged in trying to maintain constant temperature if it is just a thin shell oven or steel shell oven then you will also find that it will not hold temperature for any length of time. The un-insulated oven is the most basic form of oven that we make as discussed on the domestic oven page the un insulated oven is the perfect oven for those people who are looking for a basic oven either for DIY self install or for anyone wanting to build a bespoke designed oven while still complying with the DEFRA smoke exempt criteria. An inset mounting is the most basic form of installation, but you will need to have a non flammable base prepared to put the oven on. 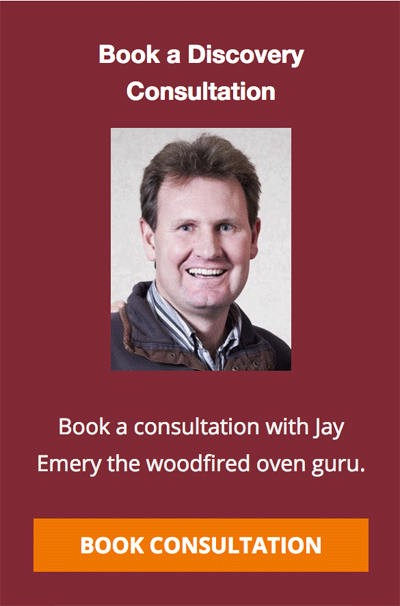 You will then put down the required insulation boards and the base of the oven. To get a seamless interface you would also tile around the oven to make it look fantastic this will either be done as a DIY project or as a builder or landscaper project. For those of you who like the rustic look or for those of you who want an alternative to the stainless steel frame then this may be the solution in this mounting the insulation board and the rectangular oven floor is already built into the surround. 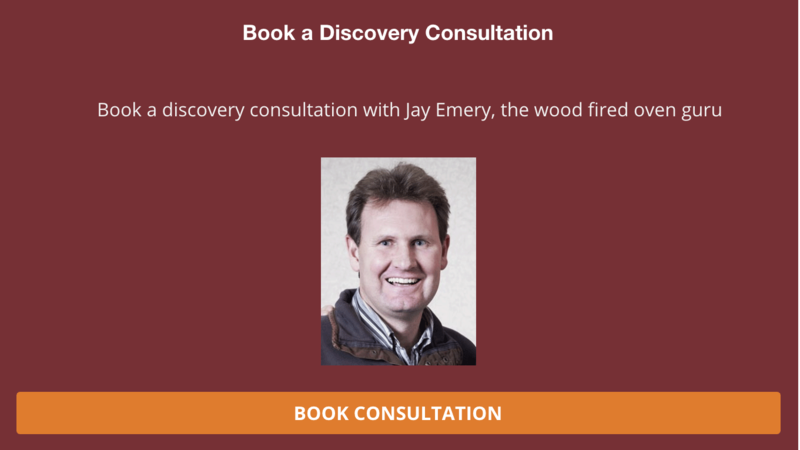 You can put this directly onto a solid non flammable surface or onto a brick built log store or of course you can have it with the completed rustic stand. A bespoke built structure is something that you will get your builder or your landscaper to do for you you may well take it on as a DIY project but be sure you have designed the area properly, i cant tell you how many times I’ve been to site to install an oven on a layout designed by a so-called professional kitchen designer and they have the basics all screwed up. 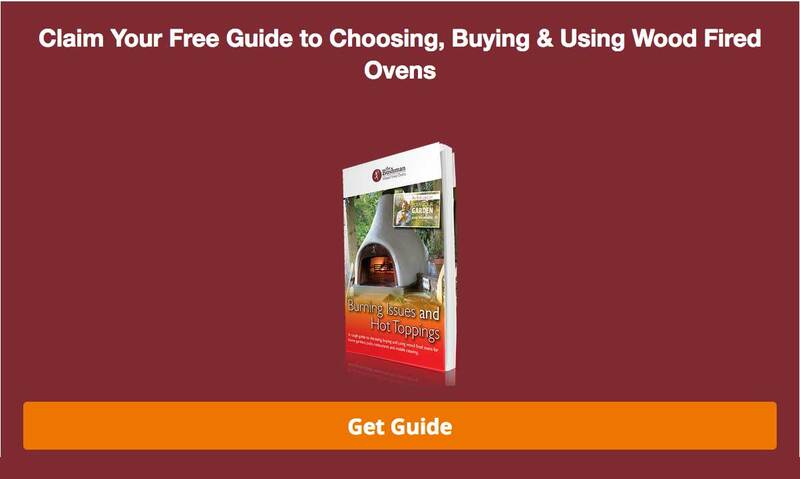 So check out the page on basic layouts if you are buying an oven from me i will be happy to review your plans and make recommendations. I’ve had more customers than I care to remember who have scrapped the architects drawings in favour of a suggested layout by me so if you are spending big money make sure you are getting advice from the right people my customers include 2 michalin star chefs pub chains restaurant chains and hundreds of customers who run businesses from mobile catering units believe me if i can get a compact kitchen capable of cooking 70 pizza per hour onto the back of a Piagio ape then i can help design something for your garden to you will just need to get someone in to interpret what i suggest without cocking it up with their own off the wall unproven ideas the ball is firmly in your hands on this one. If you have already built a counter and have come to our site for what ever reason then you could put in an inset base and tile around it or you could just tile the whole thing and put on one of our teardrop mountings or rustic mountings. The first will require the services of a tiler or builder while the last two you could do on your own with a couple of friends bribed with beer and the promice of a dam fine pizza party. By far the most popular is option 2 this method allows you to quite easily lift each part into the garden with a couple of burley mates bribed with the promise of beer and a fab pizza party.